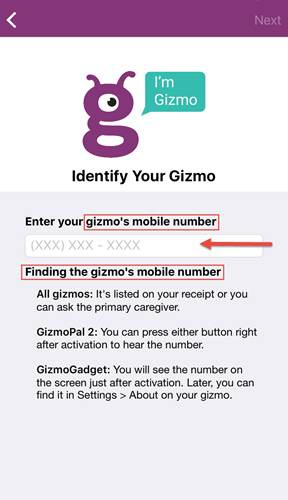 If you do not enter the mobile numbers for both the Gizmo and the caregiver/contact's smartphone in the appropriate steps, you cannot contact the Gizmo device from your smartphone. 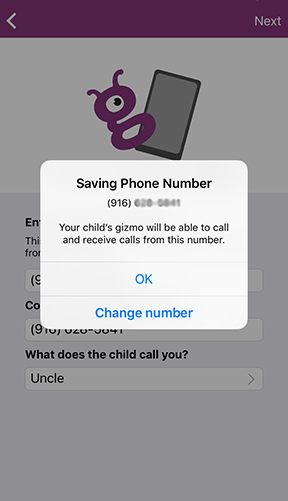 During the setup process, enter the Gizmo's mobile number then tap Next. 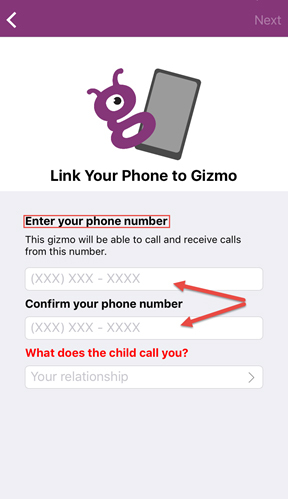 The Gizmo's mobile number will be the first number you enter; the number of your smartphone is entered in the next step. Follow the remaining on-screen steps to activate and link the Gizmo to your Smartphone.